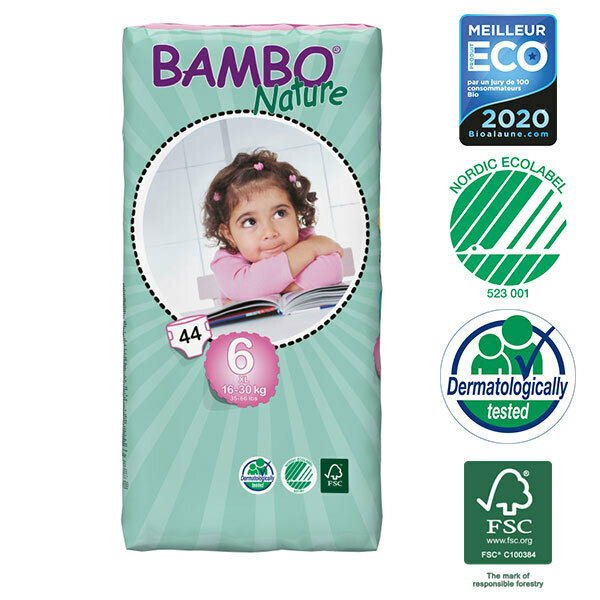 Economy Pack: 8 Packets of 44 eco-friendly nappies for babies weighing 16-30 kg. - Size: 6 - XL 16-30 kg. - Hypoallergenic, latex-free, chlorine-free, phthalate-free, perfume-free.